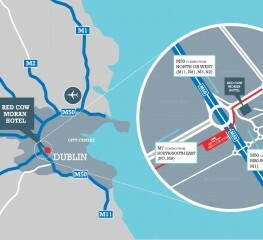 Looking for unique meeting rooms in Dublin near Naas Road and M50? 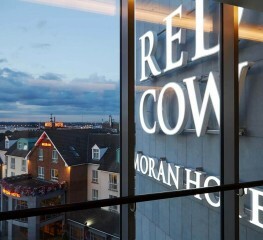 The 4-star Red Cow Moran Hotel is the obvious choice. 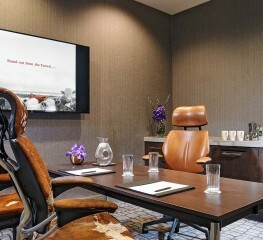 The hotel is superbly equipped to cater for a range of meetings and events, from smaller intimate brainstorms to larger events, gala dinners and conferences. Following a recent refurbishment, the 4-star Dublin hotel now boasts 2 superb Think Tank rooms - perfect spaces for innovative and creative minds. The Ayrshire Suite is 34 square metres and has a marvellous ping pong table as a centrepiece, surrounded by bespoke benches, making it perfect setting for a brainstorm session. The second think tank, the Jersey Suite is 45 square metres and has a floor to ceiling whiteboard with tiered upholstered seating and casual floor cushions – both spaces offer novel and inspirational settings in which to get the creative juices flowing.